If you think the goal is to find what works and stick with it, you’re wrong. What works now might not work in the future. The latest technologies, discoveries, and advancements are always being updated, revised, even deleted. Hopefully you as a person are growing and changing along the way too. You’re not still wearing what was trending back in middle school, right? You’re not still using a landline, are you? You’re not still navigating by atlas, please? Because even if you don’t, someone else will and the world will just move on without you. There’s a reason we stopped walking everywhere. We invented the wheel, made wagons, built trains, produced cars, engineered airplanes, who knows what’s next? The story of the human race is the story of progress. Yes, sometimes it’s been in the wrong direction. But a knee-jerk resistance to change hasn’t usually been a positive either. Let’s be honest. We often avoid change because we’re lazy, stubborn, arrogant, and set in our ways. It’s easier to stay in a rut than to climb out of one. But I’m not advocating change for change’s sake. That’s as stupid as consistency for consistency’s sake. The point is: do you have an open mind or a closed mind? If your mind is open to new ideas, new ways of doing things, new relationships, etc. you’ll find that the world is a fascinating place full of exciting opportunities. If your mind is closed, you’ll find yourself increasingly frustrated, bored, and behind. Fix what’s broken, but don’t stop there. Improve what’s working, or better yet, abandon it altogether for something better. 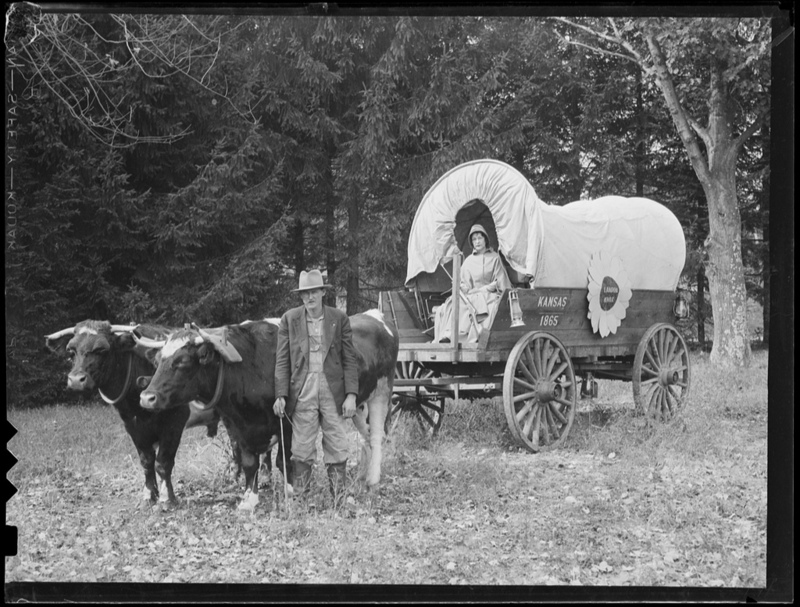 Are there any covered wagons in your life?